Onam is a major annual festival for Malayalees in and outside Kerala and every Malayali would have sang this song at least once in their lifetime, as we celebrate Onam festival. There is only one story about Onam but there are many controversies starting from the myth to current politics. According to the Hindu mythology, Mahabali is the great grandson of Asura king Hiranyakashipu, and the grandson of Vishnu devotee Prahlada. Mahabali came to power by defeating the gods (Devas) and taking over the three worlds. According to mythology, the defeated Devas approached Vishnu for help in their battle with Mahabali. Vishnu refused to join the gods in battle against Mahabali, because Mahabali was a good ruler and his own devotee. He, instead, decided to test Mahabali’s devotion at an opportune moment. With the blessings of his Guru Shukracharya King Bali received many boons and divine military equipment. With the help of those and his army, Bali conquered the three worlds, including heaven displacing Lord Indra. Guru Brahaspati advised Indra to bid his time as Bali is undefeatable now and only almighty Hari can defeat him, when the time comes. When her sons were defeated and disappeared, Adit, the mother of gods approached her husband for help. She complained to Kasyapa that she and her children have been exiled, lost their power, splendour, glory and the house and is in a sea of calamities. Kasyapa advised her to worship Lord Vishnu who alone is capable of conferring cherished boons to overcome the miseries and suggested the methodologies for the special vrata to be performed. On completion of the vrata, Vishnu appeared and mentioned to her that currently none, including me can displace King Bali, as his time is very good and is protected by his good deeds. However, at the appropriate time, having satisfied with your devotion, I will take birth as your son and do what is necessary to restore the glory to you and your children. In due course of time, the Lord manifested himself as a dwarf Brahmana boy and was named Vamana. On hearing that King Bali was conducting a “horse sacrifice”, Vamana proceeded to that place and seeing him arrive, Bali welcomed him and washed his feet as tradition demands. After paying obeisance, Bali enquired to the Brahmin boy as to what he can do for him. Vamana said, you are the righteous king and bestows boons to whoever asks. However, what I need is only three paces of land measured by my feet. King Bali offered him much more than three paces and requested Vamana to take three villages or as much as needed for his comfortable living in future. Vamana insisted that his requirements are only three paces and not more. Shukracharya warns King Bali that this dwarf is none other than Vishnu and is here on behalf of the gods and if you promise him the three paces, he will deprive you of your position, splendour and sovereignty and pass it on to Indra. However, King Bali remains steadfast in his promise. Having disobeyed his advice, Guru Shukracharya curses Bali that he will soon fall from splendour. That dwarf miraculously expanded to such an extent that he covered the earth and nether world by the first step, heaven and all the worlds above that with the second step and asked Bali as to where he should keep the third step as promised. Bali humbly offered his head to keep the third step. Lord Vishnu replied, “A devotee should not get infatuated with pride due to his position, power, wealth, birth or such other things as they are obstructive of attainment of final bliss. Bali is my devotee and has overcome the vagaries of maya and therefore is dear to me. I take away the fortune of those whom I show my grace, so that they are free of all bondages and ready to attain the final bliss. I also bless him to be the next Indra under my protection and until then he would be the king of Sutala with all the powers and glory. He is also free to visit his subjects once in a year. Mahabali’s visit once a year is celebrated as ‘Onam” by Malayalees around the world. There has been many controversies and questions about this myth. What is the significance or Onam? Bali was a righteous king and a great devotee of Lord Vishnu like his grandfather Prahlada. Then why was he punished? Is Onam celebrated in honour of Mahabali or Lord Vamana? As per another story, Kerala was created by Parasurama, who is the sixth avatar of Vishnu. Then how come Bali rule the place during the time of fifth avatar Vamana? “Thiruvonam”, as Malayalees call this festival, also signifies the ‘star’ of the day and it is also the birth star of Lord Vamana; therefore, it is also celebrated as “Vamana Jayanthi”in some parts of India. The controversy regarding calling Onam as Vamana Jayanthi was the creation of some vested interests to create wedge between people for political mileage. When you call this festival as ‘Vamana Jayanthi’ you end up giving importance to Vamana and not Mahabali, whereas Malayalees celebrate Onam as the return of their most favourite King once a year to meet them. Some call this as an effort by Brahmanas to reemphasize their supremacy. Bali was an asura king and the term ‘asura’ generally is indicative of those who share the character of powerful beings obsessed with their craving for ill-gotten wealth, ego, anger, unprincipled nature, violence, lust, hate, arrogance, conceit, anger, harshness, hypocrisy, cruelty and such negativity. So how come someone worship a person belonging to such a group? However there are also good asuras and bad asuras. Agni, Varuna and Prahlada were all good asuras and they are either worshipped or respected. So why not honour an equally righteous king, Mahabali? Some call it the fight between upper and lower caste Hindus and they consider Bali to be a lower caste chieftain who fought and won against the atrocities of high caste Brahmanas. There are many such venerated gods in Kerala, including the Muthappan, who is the presiding deity of famous temple at Parassinikadavu, in northern Kerala. For anything to sustain for a long time, it has to follow natural process and procedures. Typically, the sustenance of gods are through the obeisance paid by human beings by way of homam. A homam is a form of quid pro quo where through the fire ritual, a sacrificer offers something to the gods and expects something in return. The Vedic ritual consisted of sacrificial offerings of something edible or drinkable, such as milk, clarified butter, yoghurt, rice, barley, an animal, or anything of value, offered to the gods through fire god with the assistance of priests. God in turn ensures wealth and prosperity of human beings through proper sun, moon, wind, rain and agricultural produces. However during the rule of Mahabali, such rituals were terminated and human beings received whatever they want through the power and benevolence of the King. Since Mahabali has conquered heaven with all its riches, he had enough to share with the human beings. Imagine a modern day state where the government managed by the Prime minister and various ministers administer the country through the money received by way of various taxes. Nobody likes to pay taxes, neither rich nor poor. A new ruler comes along, nationalises all industry and business and announces no taxes to be paid in future. He offers free food, medicines and various other welfare programs by taking away money and business from rich people. The common men are happy. But is this sustainable for long? What should be done to bring order back to the society? May be what Vishnu has done is the same; bringing back order to the society. However, Vishnu offers the position of Prime Ministership (Bali was offered to be the next Indra) to the expelled ruler in due course of time after he learns the systems and process for governing a large state. Therefore, it is very difficult to say that Bali was honoured or punished. Time is an essential element of creation and destruction. As per Hindu (Vaishnavism) philosophy, only Vishnu is timeless. For everyone else, including Indra, gods and Mahabali, time is the great destroyer and takes away all that is precious and are subjected to appearance and disappearance. Everything is impermanent and subject to constant change. All states, the good and the evil, are caused by Time. Therefore the reign of Mahabali, however great it is, have to end at the appropriate time. Onam is significant for many reasons, besides being the beginning of the harvesting season and the end of misery and diseases of the raining season, an occasion to celebrate the beginning of spring and sunshine. Today Malayalees across the globe celebrate Onam irrespective of their religion, caste, social status or age. Therefore, it is truly secular, apolitical and spreads equality among all people, much more than the political ideologies of the ‘so called secular’ parties. Therefore, we must continue celebrate Onam as it is done today and ignore calls of all vested interests to divide the society in many different ways. 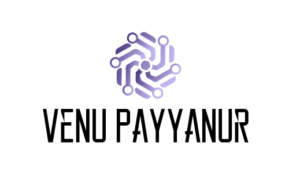 https://venupayyanur.com/wp-content/uploads/2019/01/Venu-Payyanur-300x190.png 0 0 Venu Payyanur https://venupayyanur.com/wp-content/uploads/2019/01/Venu-Payyanur-300x190.png Venu Payyanur2018-08-24 10:30:172019-01-05 10:41:26Onam – myths, mysteries and myopic thoughts.